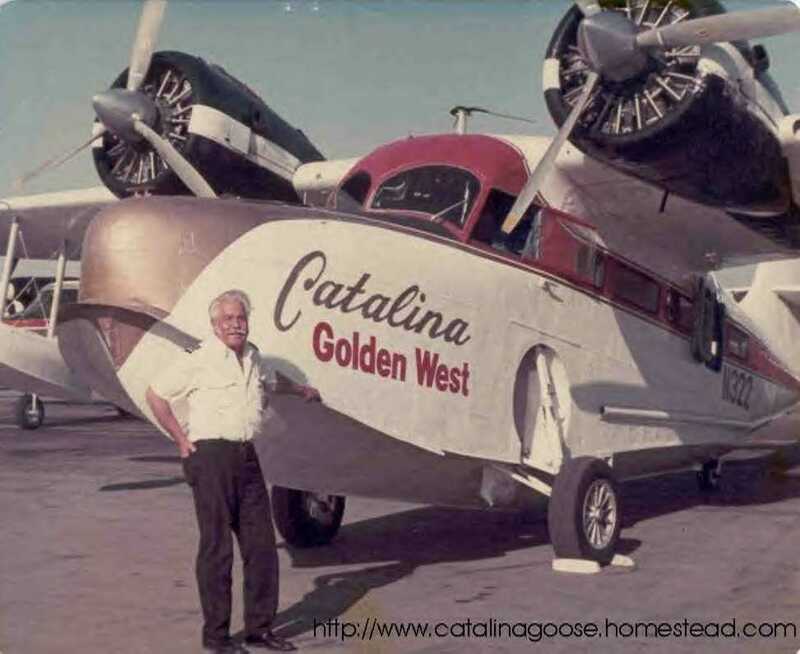 Golden West Airlines began operating the Catalina route in 1968, after Catalina Airlines ceased operations the same year. 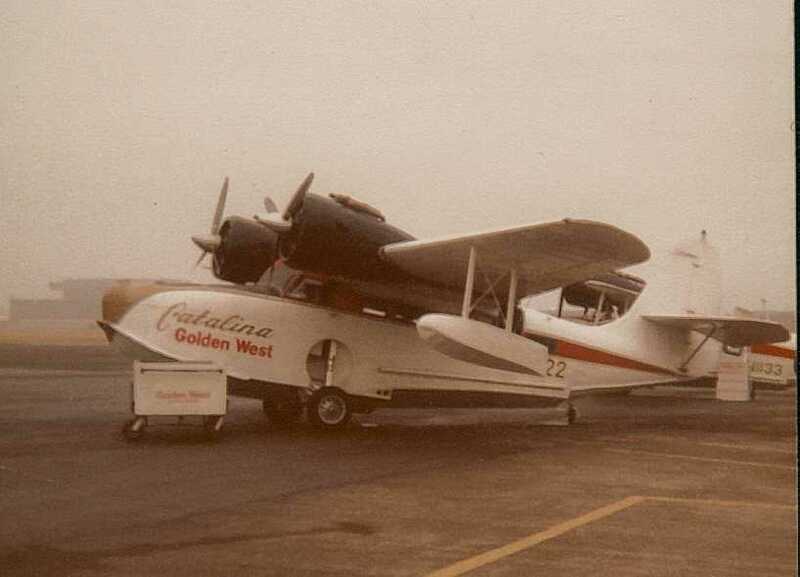 Golden West Airlines was already operating a busy commuter airline service flying to destinations throughout Southern California when they aquired the Catalina Airlines Grumman Goose fleet. 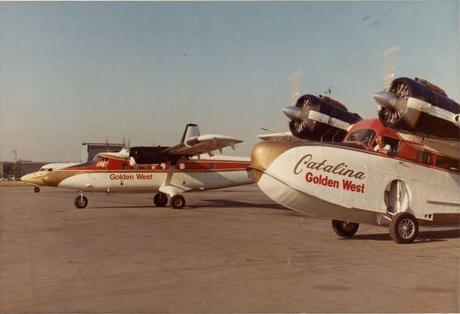 The owner of Golden West Airlines was Bill Perera and later the California Westgate Corporation. 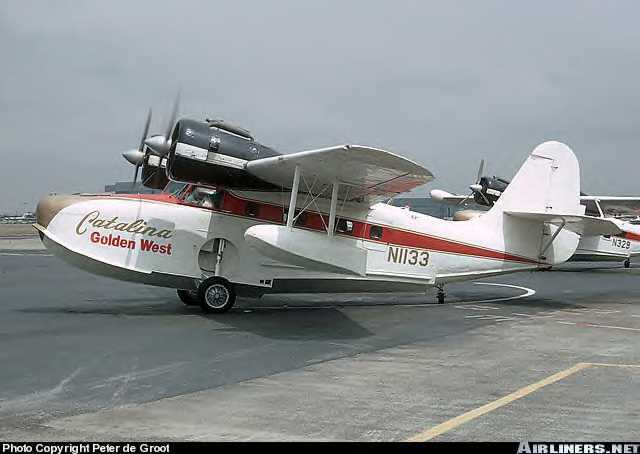 Grumman Goose: N1133, N322, N329, N324, N93G. 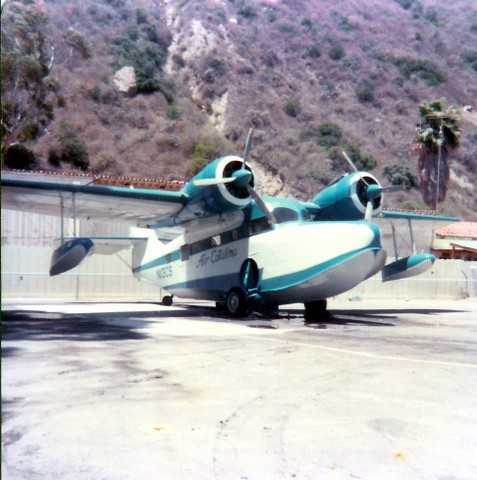 N322 c/n B-73 in Avalon Harbor, 1971. 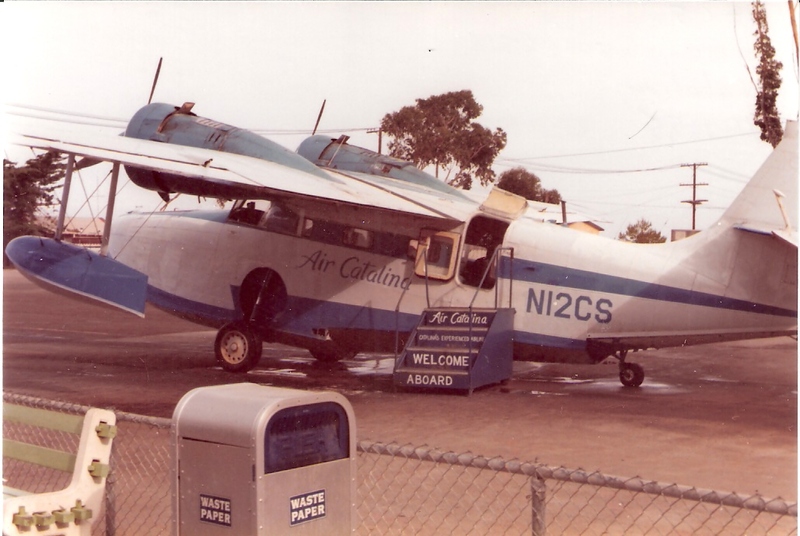 N93G c/n 1130 at Long Beach Airport, 1972. 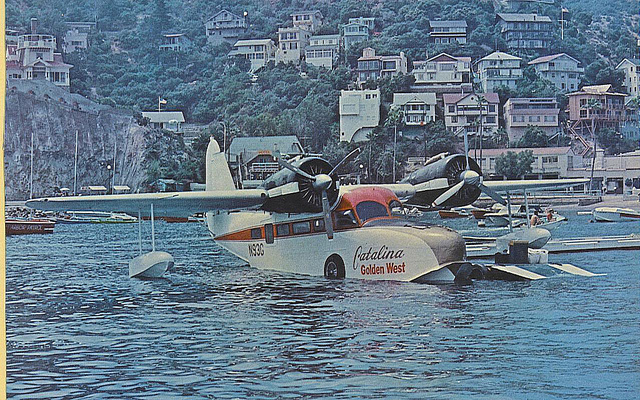 Air Catalina began it's operation in 1974 after aquiring most of the Catalina Seaplanes Goose fleet. 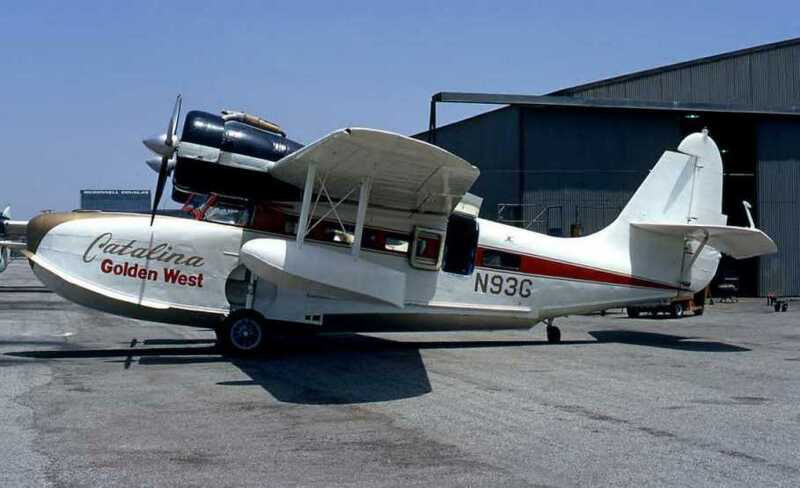 With a new blue on white paint scheme and flying fish logo on the nose, the new airline operated year round from Long Beach Airport and San Pedro. 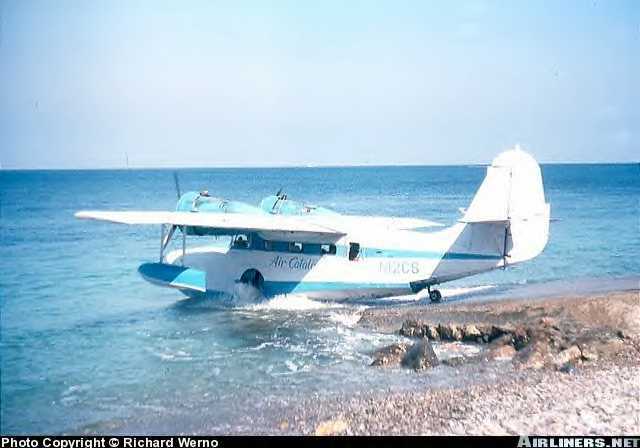 The owner of the airline was Jackson Hughes. 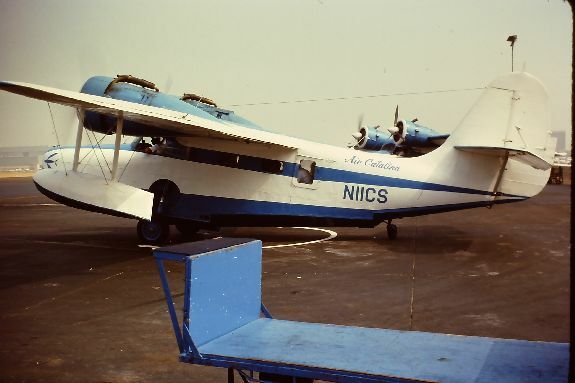 N14CS, c/n 1048 is currently at the Smithsonian National Air and Space Museum, in Washington DC. 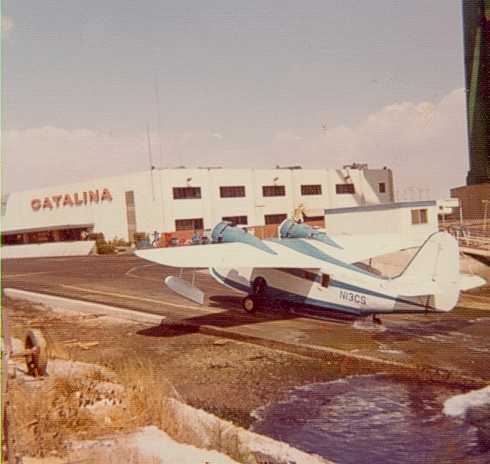 A busy Summer day at the Air Catalina Pebbly Beach ramp, 1975. 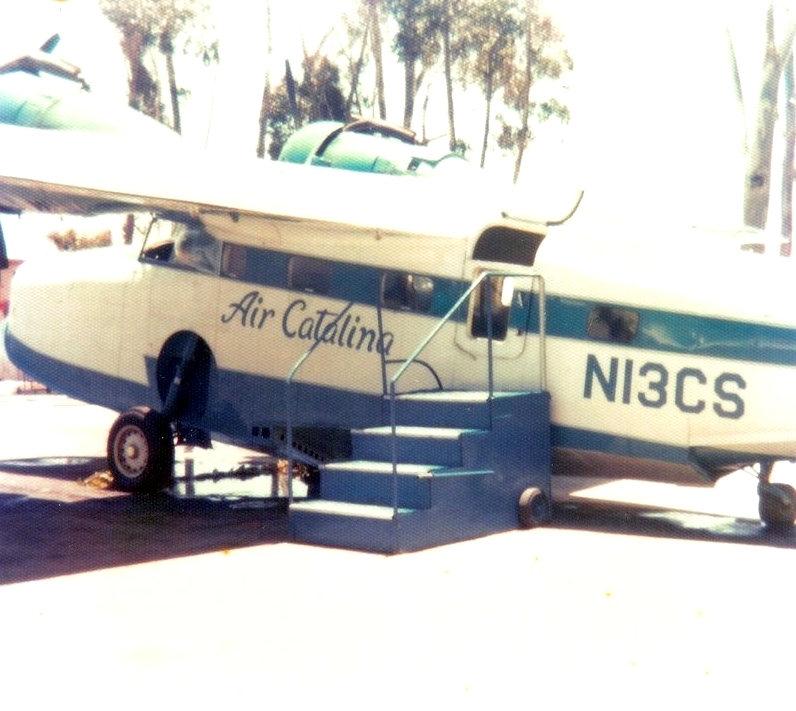 N13CS climbing the ramp at the San Pedro steamship and amphibian terminal. 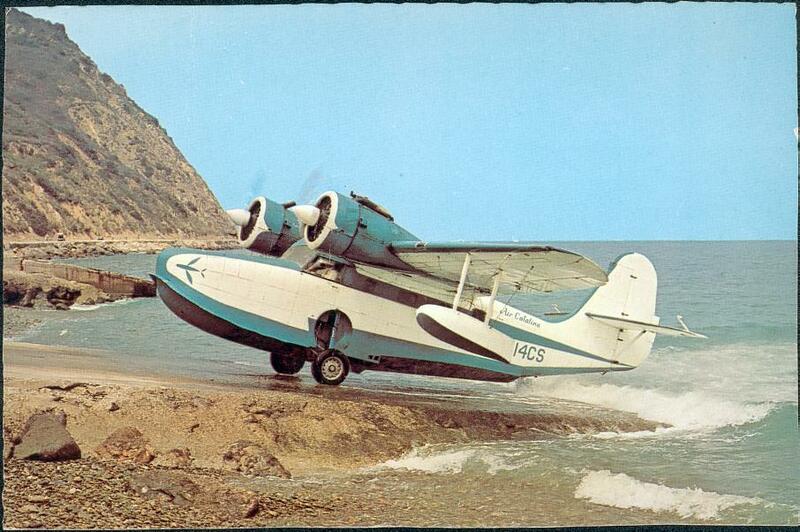 Pebbly Beach Amphibian Terminal. 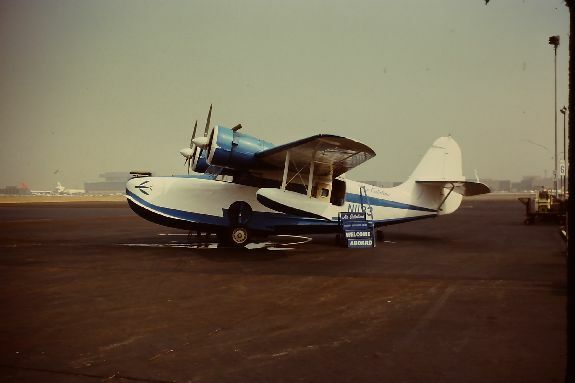 Photo by Roger Meadows. 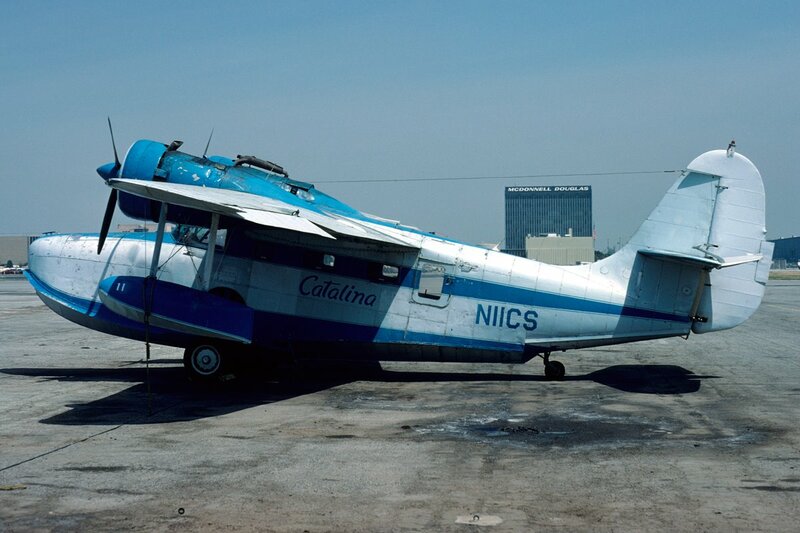 N1133 was re-registered later as N18CS. 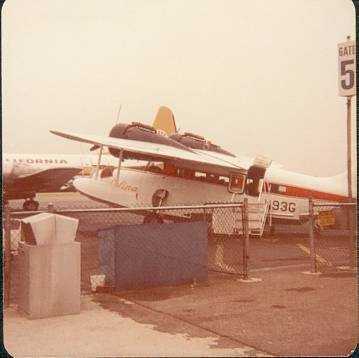 Shown at Long Beach airport. 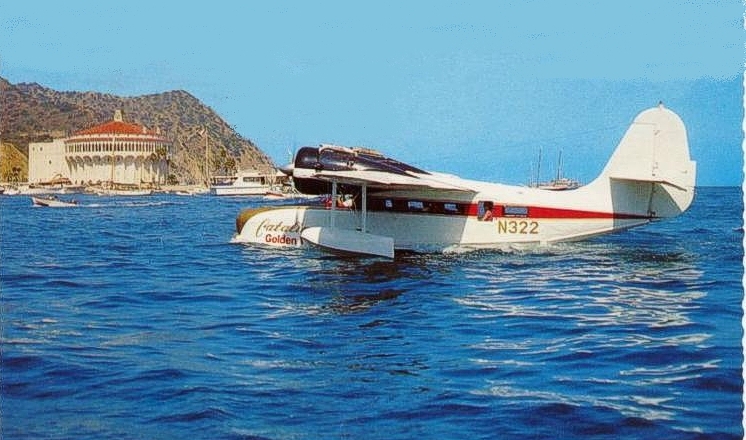 Nice shot of N93G at the end of the pier. 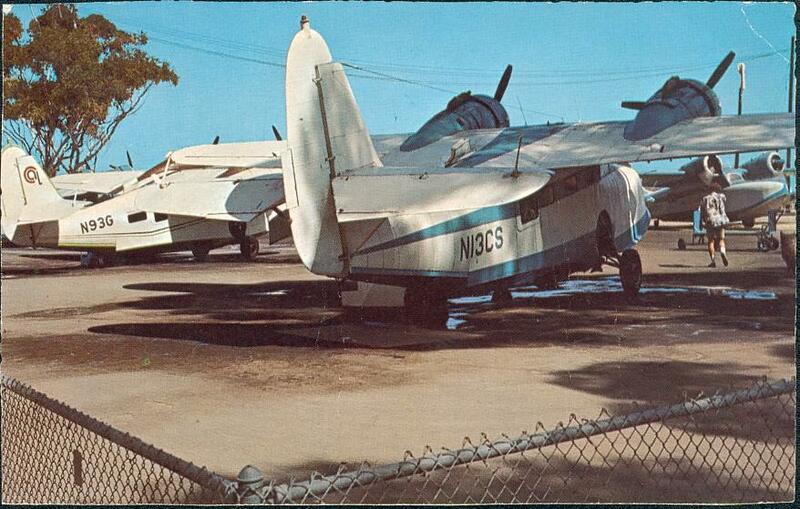 N12CS, c/n 1085 ready to board at Pebbly Beach air terminal.